Children grow up so fast, and sometimes it seems that in a blink of an eye they go from newborn to toddlers and beyond. 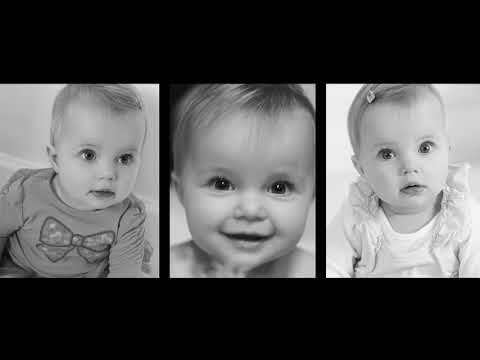 Capture those early moments before they disappear with this My First Year Photoshoot, and see your child develop across three separate photoshoots with a complimentary print from each. A complimentary 5in x 7in print will be yours to keep from each photoshoot, and you’ll have £50 to use to buy wall hangings and albums. On arrival at your chosen studio at your allotted time, you will have a portrait session for your baby, with a professional photographer. A viewing appointment will then take place after the portrait session where you can choose your complimentary 5in x 7in portrait, and order any additional photos you might like. You will then book a date for your next session. You will have three photographic sessions in total (on average to be taken when the child is 4, 8 and 12 months old) and will receive one complimentary 5in x 7in print from each session and you can use your £50 money off voucher against additional purchases of albums or wall hangings (images are excluded).